Are you new to Dallas Community Colleges or transferring to a four-year university and need a transcript? Well, look no further — we have you covered! You’ll need a transcript of your grades especially if you’re planning to transfer to or from another institution. Luckily it’s easy to request a transcript from the colleges of DCCCD, and it’s free. Request a transcript online through eConnect (login and password required). Mail or fax a copy of our transcript request form (PDF – 41KB) to the Admissions/Registrar’s Office at the college of DCCCD you last attended. Drop by the Admissions/Registrar’s Office at your college to request your transcript in person. Don’t forget to bring your photo ID with you. Note: Phone requests are not accepted. How Do I Request My Transcript Online? Select the Current Credit Student Menu. Log in to see all your menu options. Note: You will need your seven-digit student ID number and password to log in. Fill out the online form to complete your request. 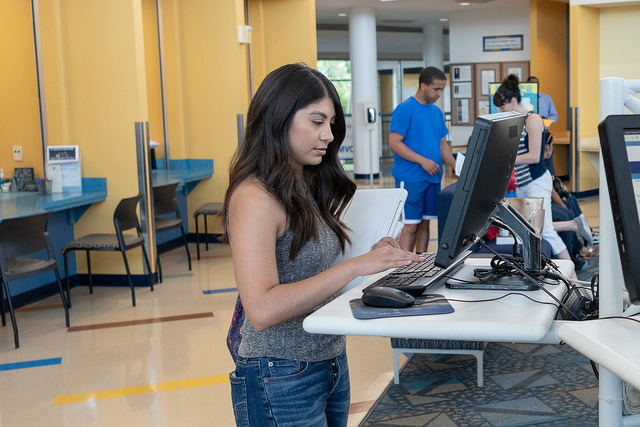 Since your transcript is a listing of all credit courses taken within the colleges of DCCCD, it is not necessary to submit a transcript request to each college you attended. Still have questions? Take a look at frequently asked questions about transcripts.